About 10 years ago, specifically in 2009, an Egyptian movie called, El-Alamy (The International) hit theaters. While the film was a drama about sport personalities, it veered more towards fantasy in the eyes of Egyptians. An Egyptian playing in Europe and taking Egypt to the World Cup was a dream. Yet here we are, at a time where our own Mohamed Salah not only realizes this dream, but actually makes reality more unbelievable. After showing off his talents at the Swiss club, Basel, Mo Salah stunned us all as he was drafted to Chelsea, a giant in the English Premier League. At that time, we thought this was the end of the dream, as Salah’s quality started to plummet. A loan spell at Fiorentina would revive the lightning-paced winger, and a great season at A.S. Roma would make the eyes of Klopp, Liverpool’s manager, glitter in admiration. Many didn’t want him to return to the Premier League, while others were hopeful of Klopp’s effect on our Egyptian Forward, and they were absolutely right. The rest is history as they say, because in truth, Mo Salah has broken a respectable amount of records, in just one season, cementing his name in Premier League history. His super hat-trick (scoring 4 goals) last week against Watford is a huge testament to his abilities. 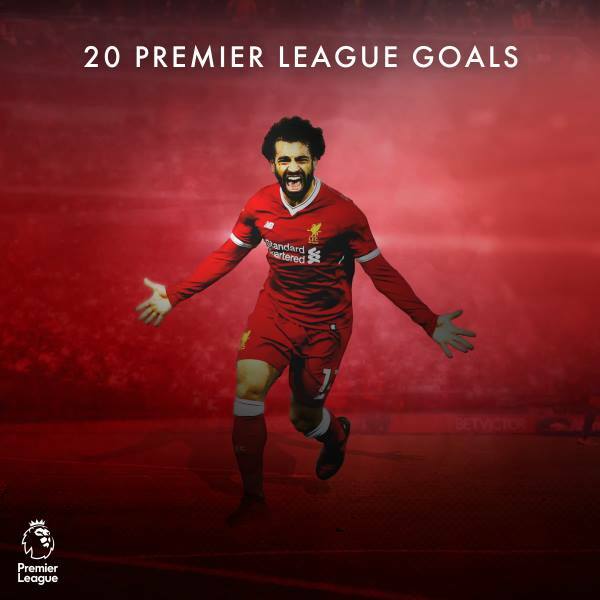 With 28 goals in the Premier League this season, he is not only the Premier League’s top scorer, but also the top scorer of the top five European Leagues. With this rate, we can definitely – fingers crossed – expect him to break the record for “Highest Premier League Goals Scored in a Season”: 31 goals, courtesy of Luis Suarez, Cristiano Ronaldo, and Alan Shearer. What’s also a matter of genuine awe is the speed and steadiness of his development as a Liverpool player. Now, with his dribbling skills drastically improving, he is able to score goals in situations where most other players would almost certainly lose possession and control over the ball. All these achievements have made his manager, Jürgen Klopp, praise him over and over again. He doesn’t think “Mo wants to be compared with Lionel Messi”, yet he believes that with consistency and a lot of hard work, he may be on his way to being comparable with the Argentine genius. Moreover, according to the Ranking of the CIES Football Observatory, a subsidiary of the International Centre for Sports Studies (CIES), Mo Salah is the fourth most valuable player in terms of market price. The World Cup can’t come any sooner, and Mo’s performance this season is making us all dream beyond the thresholds of our imaginations. Thank you, Mohamed Salah, for becoming an inspiration, on and off the field.